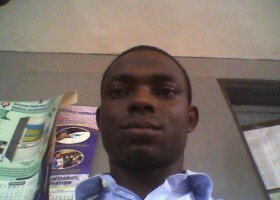 I’m Adeyemo Amos, from Osun State Nigeria. I work with one of the fore-most examining body in Africa. I started thinking towards entrepreneurship in the year 2008 when operating under a registered business Name “Adegab World Enterprise” also known as “Amusin Services”. I always think of better ways of doing things and this had been my driving force. I studied as a Safety and Health Professional, and Project Management Professional. You want to know more about me? then contact me.